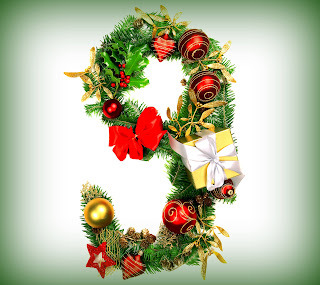 I hope everyone's December is off to a great start! The countdown to the holiday season seems to have come around faster than usual this year 🎄⛄. Today's blog post is the ninth chapter from Spell Tracker. Luca attempts to make friends with Cass while doing his best not to be distracted by Devin. Unfortunately, neither situation works out quite the way he wants it to! I tried to convince myself it wasn’t so bad. My mind refused to play along. I couldn’t stop thinking about the code of conduct I should be following. Before an undergraduate magician goes earthbound, their future profession in the magical dimensions is preselected. The choices/lessons they will encounter as they reincarnate their way along a personalized earthbound life path are set in stone and cannot be manipulated by any guardian. Devin didn’t know it, but the earthbound dimension was a precise illusion, created from layer upon layer of spellwork. He was here to live a few lives and qualify—or not—for his chosen profession. When he graduated, his magical identity would simply leave. My presence was already something of a glitch in his life path. A guardian may disperse negative emotion and/or remind a magician of their potential, but may not show a magician what to do for the best. The earthbound dimension tests non-magical skills, and each undergraduate has to remain ignorant of their magical identity, the magical dimensions, and their intended path to graduation. Guardians are to be invisible and impartial at all times. OK, perhaps I was more than a glitch. But I was going to be very careful. I had to make this work. Guardians’ assignments are chosen at random from a list of undergraduate magicians living in the earthbound dimension at any given time. There is no bias in the selection process, irrespective of a magician’s intended profession, their perceived risk of failure, and their status in the magical dimensions. Furthermore, a guardian may not be assigned to any magician with whom they have a personal connection. I’d broken a major rule by deliberately looking for Cass. I knew her, and I was here because her chance of success was low. Guardians will acknowledge all seven professions—Spell Masters, Healers, Spell Masons, Spell Techs, Spell Brewers, Spell Weavers, Animal Mages—and treat them equally. Guardians may not favor one profession over another, no matter the relative life path difficulties and/or rewards of each profession. At least my conscience was clear on that part. I didn’t care about Cass’s future profession. Unfortunately, the clause had a second section. The High Council recognizes that Spell Masters and Healers are elite professions attracting significant privilege. In order to discourage fortune hunters, magicians aspiring to these professions will therefore be bound to a Spell Tracker contract with life-limiting penalties for failure. A guardian may not prevent the Spell Tracker from carrying out this contracted penalty should one of their assignments fail to graduate. I gritted my teeth. Cass was not going to end up in his hands. I could only hope he would be satisfied with my life instead if I failed to help her learn the requisite life lessons and graduate successfully. Those first two weeks at Sherbourne High passed so quickly. Two weeks gone already out of fourteen weeks in the semester. To the average high school student it was a lifetime. To me, fourteen weeks was nothing. I’d never completed an assignment so quickly before. And Cass was not exactly an average assignment. Even if I’d been helping her in the normal way, from my own dimension, I would probably have lost her. As it was, though, I was screwed. My attempts to become her friend achieved nothing. No, that’s not quite true. They’ve made her dislike me even more than she already did. She ignored my efforts at small talk. Polite conversation was never really my forte, but I tried. I asked her about things like books, music, Netflix, and college. On one disastrous occasion, running out of ideas, I managed to combine a comment about politics with one about the weather, at which point she gave me a disbelieving look and walked out. She didn’t appear to have any friends. She seemed to view Devin with the same animosity as she did everyone else, perhaps even more so. She didn’t want to talk about anything. Every single question I asked her was met with silence. After the first week I changed my approach and stopped asking questions, talking about myself instead. That was better, temporarily. 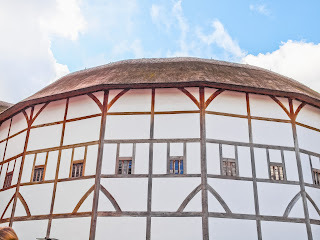 She was interested in Europe, even asking me a question about the Globe Theater in London and what it was like inside a replica of an Elizabethan playhouse. I didn’t have to fake my enthusiasm. 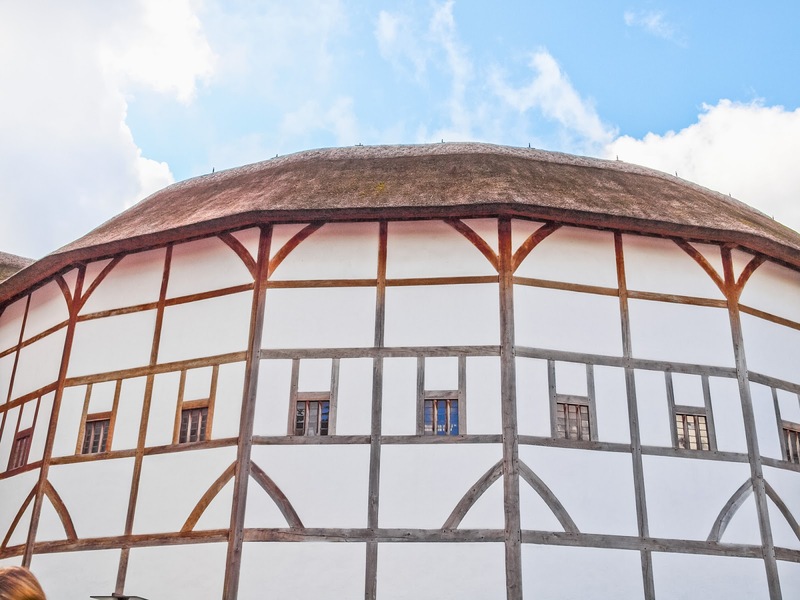 Even back in the seventeenth century, when girls were not permitted to act on the stage and the crush of unwashed bodies gave out an aroma that would stun an elephant, the playhouse had an immediacy and an energy to it that modern theater lacked. Then I ruined it. Conscious of how little time I had, I listened to the anxiety in my heart rather than the years of training in my head. I tried to go beyond casual conversation, and I did it way too soon. I can only cringe at how clumsily I mentioned other things we might have in common. I don’t know what I expected her to say. Oh, you come from a broken home? That’s awesome! I come from a broken home too! We should be best friends! She must have either pitied me for my oversharing and tragic lack of social skills, or thought that I was making it up as some kind of spectacularly inept way to get into her pants. She walked out again before I could figure out which it was. So far, we had practiced together as Benedick and Beatrice four times, not counting the two other occasions when she’d left before we could get started. We met most days after school in one of the empty classrooms. Miss Randall had given us two additional scenes to learn for the following week’s lesson, when we would audition officially for our parts in the play. Even without a confirmation text message, I could have guessed that he had “helped” Miss Randall with her choices. The two scenes might have been hand-picked to cause me the maximum amount of disorientation. The problem was that when I performed them properly I was almost on my knees by the time we finished, confused, desperate, and unable to differentiate between my past and my present. The classroom would shimmer around me, and it took all my strength to prevent it from turning into the training area in the Ludus Magnus. The area I’d just happened to share with Cass. That was a lose-lose situation in the making. If she recognized the Ludus, she’d probably remember it all, and it would be game over. If she didn’t recognize it, she’d probably freak out. I mean, who wouldn’t? Don’t worry, Cass, it’s just that I’m a Light Mage and I can’t seem to control my magic around you. Surprise! At the end of the second week I came up with the idea to protect myself with a spell before performing. Unfortunately, my ability to act disappeared as soon as the spell was in place. I was as wooden as the rudis I’d used when I was a gladiator-in-training, sleepwalking through the lines with no passion whatsoever. “What was that?” she asked, putting her hands on her hips. “I was… er… trying something new,” I said. She was talking to me. This was the most engaged she’d been since her question about the Globe. Usually she just nodded at the end of each scene and we moved on. I reached behind me for one of the chairs and sat down. I had the beginnings of an idea. I twisted the hem of my sleeve around my wrist and kept my eyes on the floor. “The thing is… I find you quite intimidating,” I said. Soon we were having a conversation about how we could improve our respective performances. I was careful to keep my comments to the play and only the play. Nothing personal this time. After we’d discussed our acting, we moved on to the characters. She looked me up and down. Is she asking about Benedick or me? “Um,” I said. Do I find her attractive? Gods, Luca, don’t go there. She’s a girl, anyway. I don’t… with girls. Except… I would with her. I… what? I wanted so much to ask her why she would say that. It was the first hint she’d given me of what was going on inside her head. Who did she blame, and for what? Herself, or someone else? With an effort of will Hercules himself would have been proud of, I said nothing. I knew it by heart. Magicians had excellent memories, and I’d reread the play the night after that first Drama class. Cass tilted her head, considering. I waited, worried I’d overdone the enthusiasm, but then she broke into a smile. It was so unexpected and so beautiful I could only stare. Carefully, I returned her smile. It turned out smiling was more complicated than I’d realized. The more I tried for sincere and low-key, the more I feared I was veering toward creepy. I nearly threw caution to the winds and said, “Concesso,” but lost my nerve before the word reached my tongue. She left the classroom with a promise to message me if she came up with anything new over the weekend. Dropping my head into my hands, I sighed. Had I made the right decision? I was second-guessing everything. Concesso was a serious spell, designed to immobilize an assignment without them actually losing consciousness. From their perspective they would just zone out for a few seconds—nothing too scary. The earthbound frequently did that anyway. Concesso would enable me to look at her life path, which I could only do when she was awake. Cass wasn’t like Mr. Mason. I couldn’t expect her to stand by obediently while I inspected her energy. Not to mention that her armor was so thick she would probably feel me doing it. I wanted to see her life path. I needed to see it. Without a connection, her life path was my next best hope of learning enough to be able to help her. But I hadn’t used a single spell on Cass yet, and every time I came close, I chickened out. I’d convinced myself I would somehow be playing into his hands if I did so. 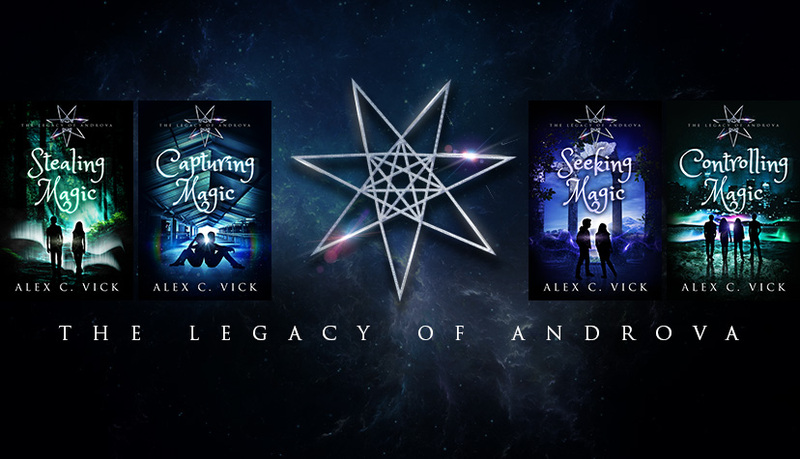 I was sure that the minute I used any magic on her, my phone would chime and it would be too late to undo the damage I would have caused. There had been no more restrictions since the first four. No more texts. At first their absence had been welcome and I thought perhaps he was done. Then I realized how stupid I was being. He was a master manipulator. There was an agenda to everything he did. I would never figure it out because my magic did not work like his. His silence had to be deliberate. The shadows bent to his will as easily as the light obeyed mine. He might not cross over, but his influence was powerful nonetheless. There was more than enough darkness in the earthbound dimension for that. And I’d agreed to a magical contract. I’d given him more power than he would usually have. I resolved to use a simple spell the next time Cass and I were alone. I had to try. Feeling better at having made a decision, I lifted my head and gave a start of surprise. Devin was standing in the doorway. “Hey,” I said, the smile sliding off my face when he didn’t return it. More like I can’t deal with you and Cass at the same time. More like I need some space from you. “More like you want some space,” he retorted. Heat rose up my neck and into my cheeks at how easily he saw through me. I’d been nervous of my feelings. It wasn’t the connection so much—I’d made plenty of those before. I’d fallen for assignments, even. The problem came from being earthbound. It was the way this physical covering was becoming part of me. I didn’t trust myself with him. I held up my hand to my mouth to hide the smile that had reappeared when he’d mentioned our kiss. As my fingers touched my lips, the memory of it obliterated every other thought in my head. The connection between our magic was making my skin tingle. I was hyperaware of everything. The sound of his breathing. His emotions. The color of his eyes. The light on his skin. Having a physical covering is dangerous. “Don’t look at me like that,” he said. Then he kissed me and I forgot anything else I might have been going to say.